I've seen a couple of videos an blog posts discussing James Taylor's slight tweaks to standard tuning so I was interested to see what he had to say. In the video below posted from his YouTube channel he recommends tuning each of the strings slightly out of tune to compensate for the use of a capo and the fact that the bass strings ring out of tune when they are struck. Have a try and see if you can notice the difference. I'm very excited to announce the release of my first eBook, 'Inside Intervals'. As a thank you to my nearly 20,000 followers on Instagram and 8,500 subscribers on YouTube, I am making the eBook available for FREE when you sign up to the RYNGTR Newsletter. This will be a monthly update mail with the latest posts and videos. You can sign up using the newsletter form on the left of the website (when viewing from your desktop). 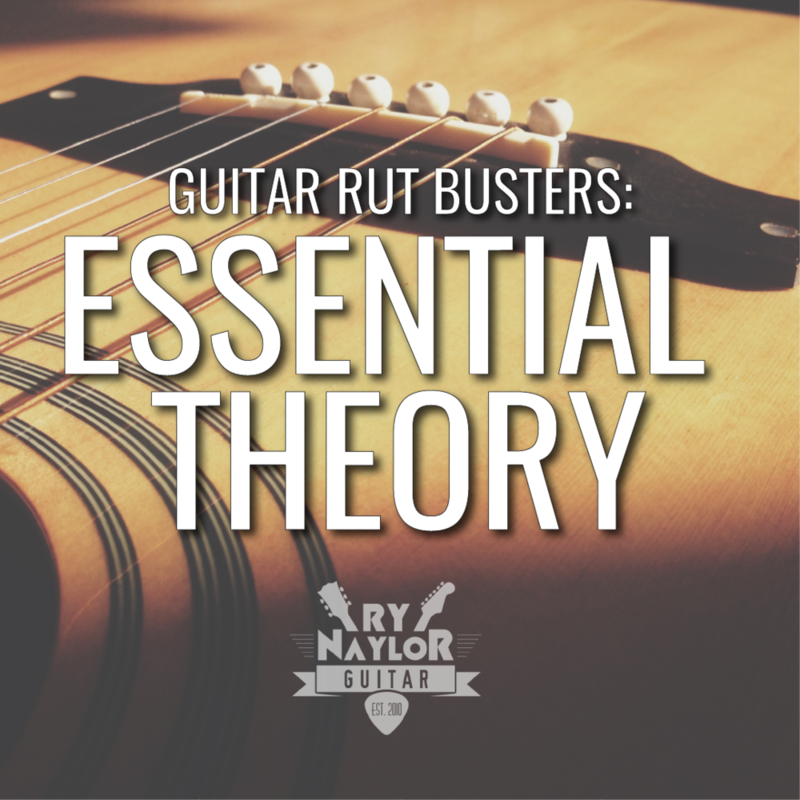 "The study of intervals is such a powerful tool for guitarists and shouldn't be overlooked if you're really serious about your guitar studies. It has huge benefits for lead playing in terms of your arpeggios, scale shapes and note choice for improvisation. It will also deepen your understanding of chord shapes, enabling you to quickly identify the relationship of each note to the chord's root." An example of the neck diagrams provided. 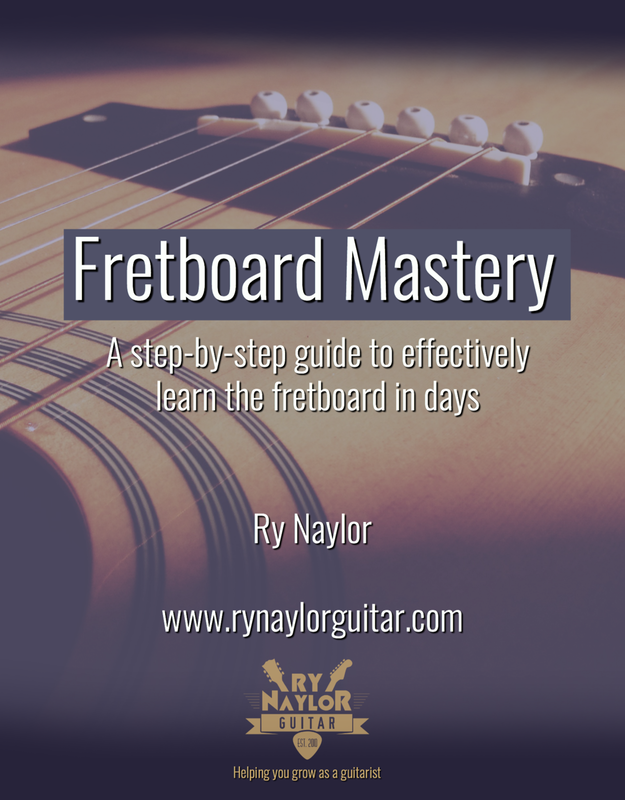 The eBook gives an overview of how intervals are identified and then has a series of neck diagrams detailing how every single interval inside of one octave can be played on the guitar. If you wish to show your gratitude and support my teaching, you can do so with a donation. You can find a page in the navigation bar to donate by Paypal, or you can follow the link here. I hope this is the first in a whole series of eBooks and courses available in the coming months. Exciting times at RYNGTR HQ! I'll see you soon. Byeeeeeeeeeee. Recently, I've been posting a series of chord boxes on my Instagram feed in a series I'm calling 'Chord of the Day'. Go check it out if you haven't done so already. I've had questions from a few people asking how exactly chord boxes are read, so here is an explanation. The title indicates the name of the chord. The strings are ordered (from left to right): 654321 or EADGBe. A thick line on the top of the chord box represents the guitar nut and indicates that the chord is played in the open position (frets 1-4). Black circles on the diagram tell you which frets and strings to play. Numbers inside the black circles indicate fretting hand fingerings. An 'X' on the top line indicates that a string should not be played. An 'O' on the top line indicates an open string that is played. Numbers may appear on the left of the chord box to indicate fret numbers to help identify where on the fretboard the chord is played. The notes within the chord may appear below the chord box. I have a free PDF handout to download here.